Like any hoarder, worth their salt, I could not purge myself completely. I managed to hold onto hundreds of books. I also drew a line with first issues of any book related magazines. It was these 1st issues that motivated me to write this blog post. Like an old photograph, each of these 1st issues conjures up a wide range of memories and nostalgic feelings. When I look at these magazines today I still experience the hope and promise they offered. The hope came from an understanding that the coverage of books and stories written by Black people was a very rare thing. Each of these magazines covered the wealth, and depth of our stories. For me they were, and still are, a source of pride. While I am excited to share information about these magazines, I’m also disappointed when I realize that most are no longer being published. An even greater source of disappointment is, despite more books being published by Black writers than ever before, there are fewer platforms (television, magazines, newspapers, websites, bookstores) showcasing this work than there were just 5 years ago. Here are a few of the first issues of magazines I have in my collection. I have been a staunch supporter of most of them since their inception. I have contributed content to, or have been featured in articles, in a few of them. I have subscribed to, sold subscriptions and individual issues, at street fairs and on AALBC.com for most of these publications. This is not to suggest that I liked everything they’ve published or all the editorial decisions they made. They are, however, trailblazing publications and I love each of them. Here I share a portion of my experiences and thoughts on a few of the first editions in my collection. The first time I saw the first issue of Quarterly Black Review of Books (better known as QBR). I was in a Brooklyn barber shop, waiting to get my hair cut. I saw this broadsheet newspaper with nothing but information about Black writers in it. All I could remember was thinking was WOW! Max Rodriquez, founded this terrific publication in 1993. The premiere issue measured 14.75″ x 11″ and was loaded with information. The cover art was Malvin Gray Johnson’s 1934 oil painting the “Postman”. 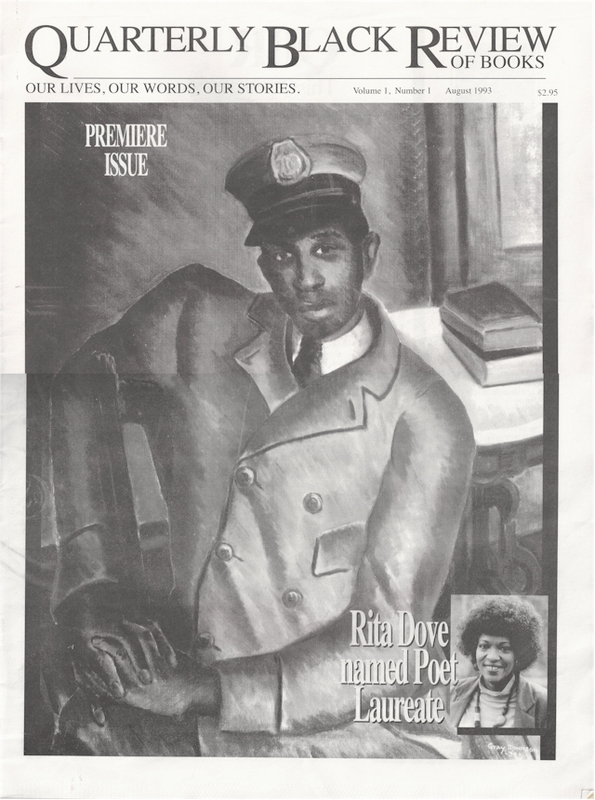 QBR’s premier issue highlighted Rita Dove who, in 1993, was named Poet Laureate by the Library of Congress. My copy of this magnificent work was a present from my dear friend and colleague Linda Duggins. Linda and Max Rodriguez would go on to co-found the Harlem Book Fair. 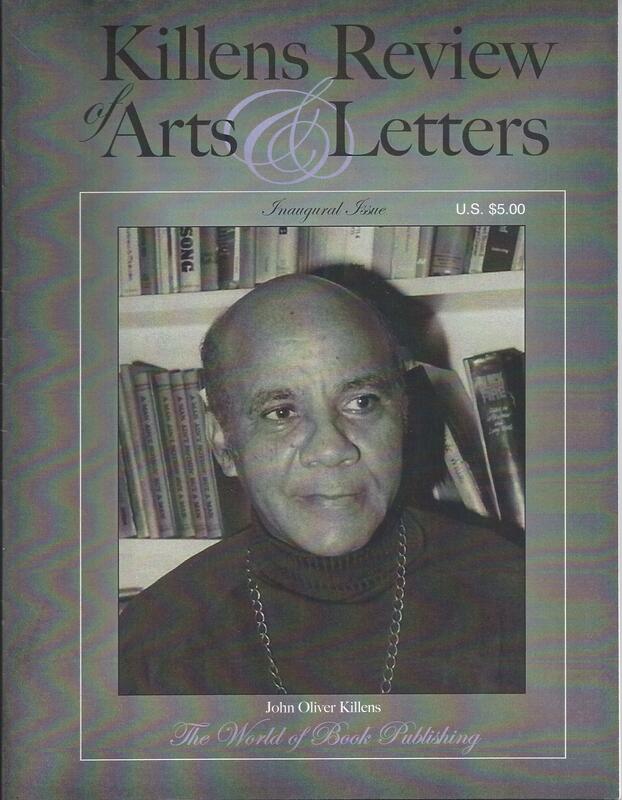 Black Issues Book Review (BIBR) was founded in 1998 by William E. Cox, Adrienne Ingrum, and Susan McHenry. The premiere issue debuted in 1999. The launch party was held in a Borders Bookstore in midtown Manhattan. It was one of the first industry events that I attended after launching AALBC.com. I did not realize it at the time, but many of the country’s top Black publishing professionals were in attendance — people I would come to know and respect over the next decade. 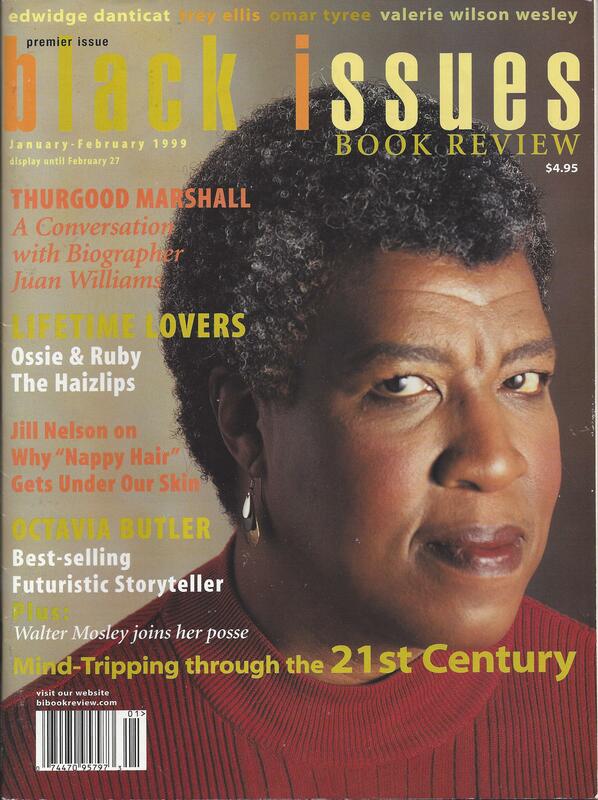 BIBR’s first issue featured the legendary author Octavia Butler. BIBR did not pick some over exposed celebrity, or trendy rapper, to grace the cover. They selected a talented writer (the author of one of my favorite books Kindred). This signaled to me that BIBR was serious about showcasing talent. In fact, in 1999, Black Issues Book Review was named one of “the ten best new magazines” by The American Library Journal from more than a thousand new publications. In June of 2005, QBR: The Black Book Review and Black Issues Book Review announced an intent to join forces. Unfortunately, the QBR and BIBR alliance never bore fruit. In March of 2006, BIBR announced that it had been acquired by Target Market News, Inc. Ultimately QBR became a online publication. Neither magazine would continue as print publications beyond 2006. 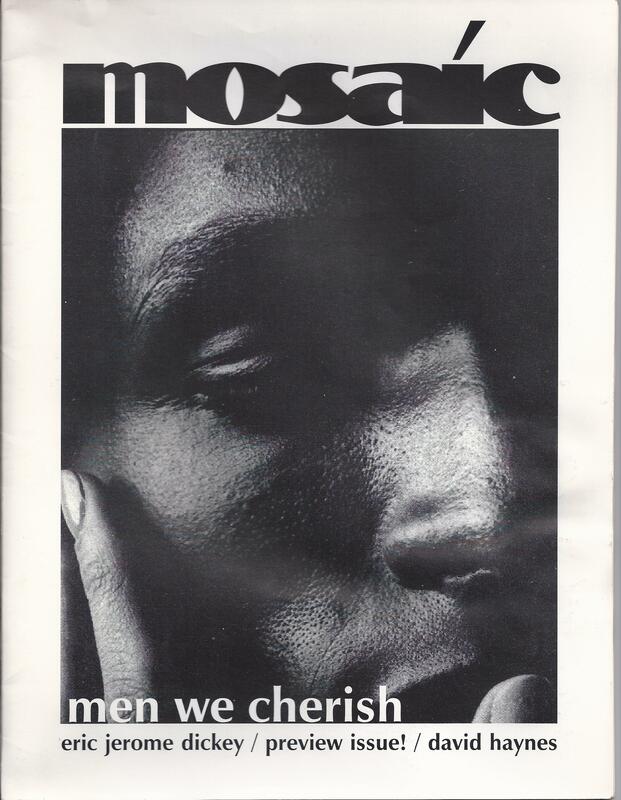 Mosaic Literary Magazine (Mosaic) was launched by Ron Kavanaugh in 1998. Given the history of similar magazines that have come before and after, it is truly a testament to both Ron’s dedication to his mission, and his skill as an entrepreneur, that he has kept Mosaic in print for almost 14 years. I first discovered Mosaic online through it’s sister website Mosaicbooks.com. I asked Ron for permission to publish, a list of Black owned bookstores he maintained on mosaicbooks.com. Ron replied, “yes”, emphasizing that, “…this information needs to be shared”. I knew immediately I was dealing with a conscious brother. It would be months before we would meet in person, during a chance encounter in a small independent bookstore. It was during that first meeting that we also discovered we graduated from the same high school, in the same year. We have been close friends and business associates ever since. 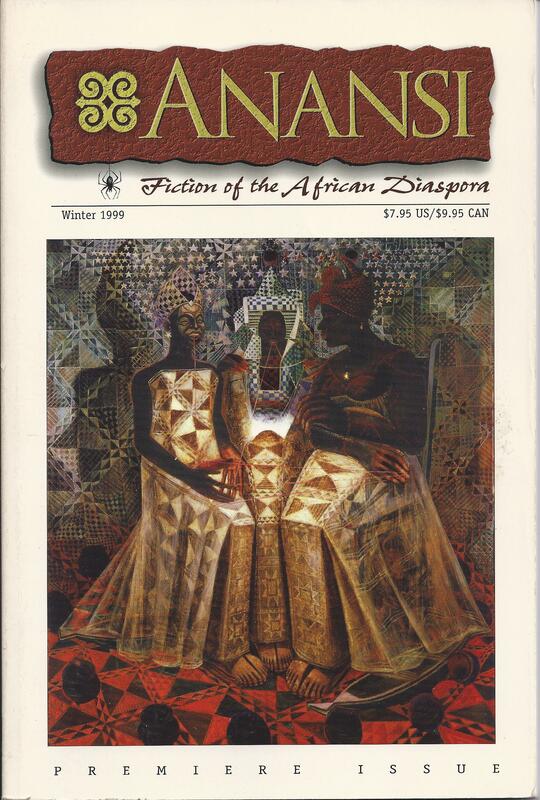 ANANSI: Fiction of the African Diaspora was Founded in February 1999 and published by Sheree Renee Thomas, Angeli Rasbury, and Martin Simmons. The first issue, featuring cover art by John Biggers, included original short fiction by writers of African descent. I purchased this numbered (#495), first issue, in 1999 during the ANANSI launch party. I would go on to work with the publishers Sheree and Angeli on a number of projects. One of my favorite collaborations was with Sheree; we hosted a performance by Chrysalis Theatre Company of Mindscape during one of AALBC.com’s Brownstone Series events. Lorraine and James: Global Urban Literature was published in 2005. The tri-annual publication published and edited by Jasia Madden was a high quality, well reviewed publication. Effective immediately, Lorraine and James is on hiatus. We are not sure how long this break will last or if we will have to simply call it a wrap – that remains to be seen. As Editor, I appreciate all of the support and encouragement that I encountered along the way. Best to all of you on your journey – Writer, may you find the prefect rhythm in your voice. Reader, may you discover and be changed by these worlds within great stories; worlds we might only dream of otherwise. As far as I can tell, Vol. 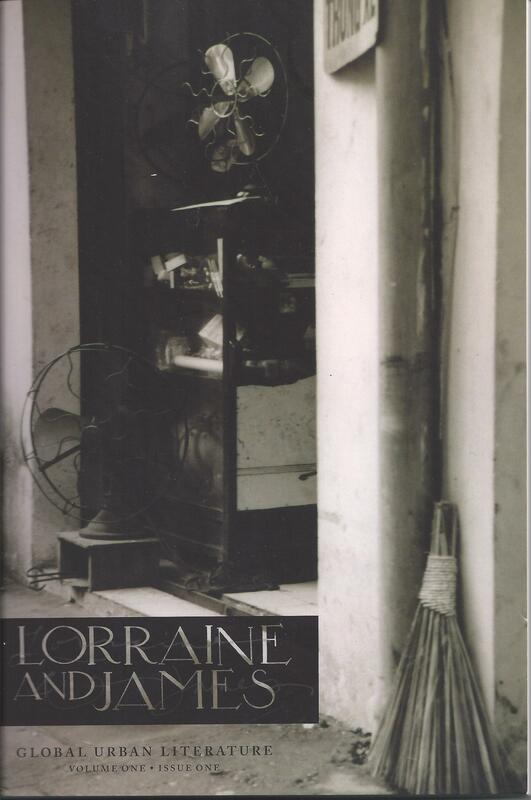 1 Issue 2 of Lorraine and James was never released. SLR: Street Literature Review was founded by Jason Claiborne, and Anthony White. I first saw this magazine at the Harlem Book Fair. Someone handed me the 2nd issue and I walked around until I found the SLR table and secured the inaugural issue shown here. Editor-in-chief Blaine Martin pulled together a smart, visually appealing and informative magazine. 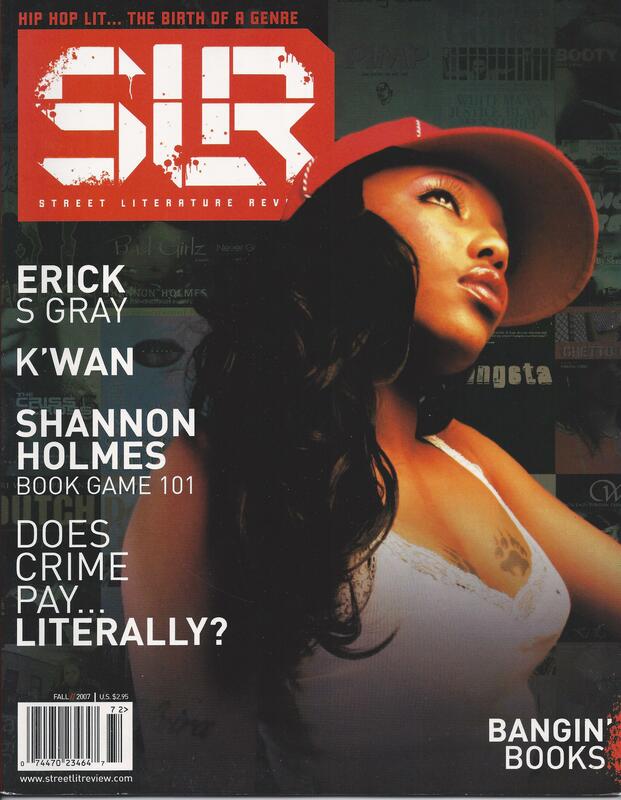 The SLR team elevated a genre with the introduction of this magazine in 2007 — at a time where there were few other magazines showcasing Black book and authors. 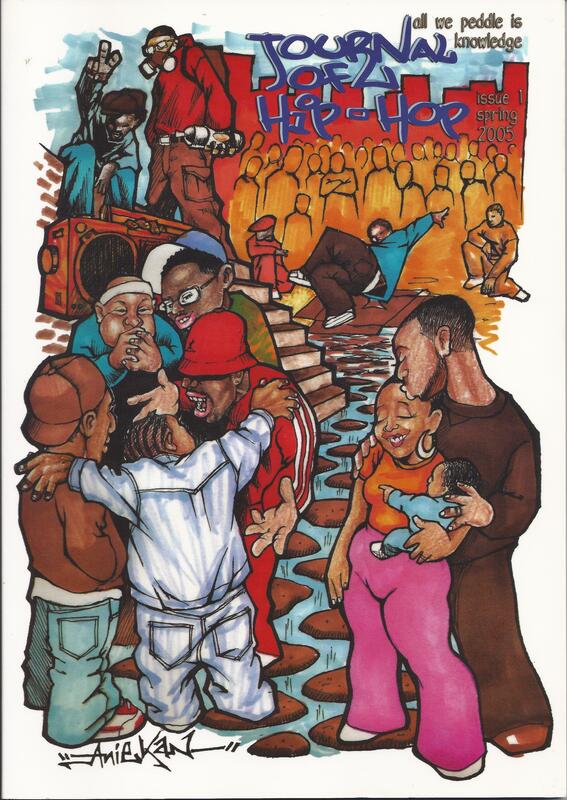 SLR demonstrated that they were the authoritative voice for Street or Hip-Hop Literature. As far as I can tell SLR has published three issues since their inception. Indications are they plan to continue. I truly hope so. 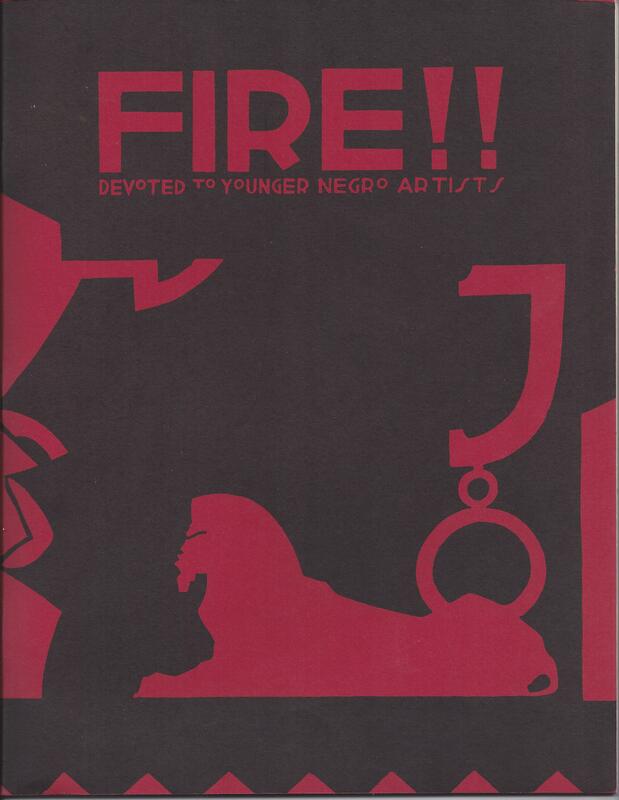 The first issue, was the only issue of Fire!! ever published. My copy of Fire! !, unfortunately, is just a replica of the original 1926 publication. The content of Fire! !, relatively mild by today’s standards, was quite controversial in it’s day. Fire! addressed sensitive issues directly including homosexuality, colorism in the Black community and prostitution. Almost 100 years later this very same courage is needed more than ever before. Any success these magazines enjoyed is a function of their ability to corral the talents of writers, editors, photographers and other professionals to produce a quality publication. Of course a quality publication is not enough. Magazines, especially our book and literary magazines need to be actively supported. Sure subscribing or making financial contributions are important but, we can also contribute our time and energy by helping to promote magazines that we enjoy and encouraging others to do the same. I’ve also observed the most successful magazines, the ones that make it over the long haul, have figured out ways to do two things; (1) Show their supporters that they are appreciated and (2) Develop alliances with other entities even other magazines. If you are aware of other book or literary magazines not listed please post them in the comments section. If I get enough entries perhaps I’ll write a part 2 — especially if I’m sent a copy of the first issue! Admittedly this last publication, a comic book, does not belong with the rest. But it does relate to the special feelings associated with 1st issues and speaks to why people get really excited about reading. I’m old enough to remember, when it was still a big deal to see a Black person on television and an average reader could know the names of all the Black writers published by the major publishing houses. This was a time were there were less than a handful of Black comic book characters and certainly no super heroes with their own comic book series. 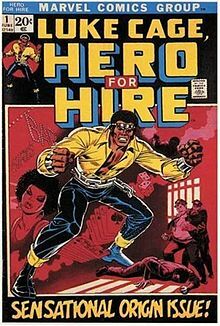 In walks Luke Cage, Hero for Hire. The first issue was published by Marvel Comics in June of 1972 and featured the cover art of John Romita, Sr. I purchased this comic and maybe the next 20 or so until I lost interest in comic books about about 35 years ago. My copy is not nearly as neat as the version depicted here, but it is still just as valuable to me. Cage was the only super hero that I wanted to relate to — because he was Black! He was from Harlem and the action took place my neighborhood. In hindsight, the fist Black super hero comic book series was introduced to capitalize on the popularity of Blaxploitation films of the era. From the eyes of this young boy, eager to see a Black superhero, Luke Cage was the man! *Note about my books: I do have several hundred books in boxes ready for donation. If you are driving distance from Philadelphia area, and would like these books, please email me at troy@aalbc.com. You’ll need to be able to transport the books yourself and be prepared to you to take all of the books. The vast majority of book were written by African American writers have have been published within the last 10 years.